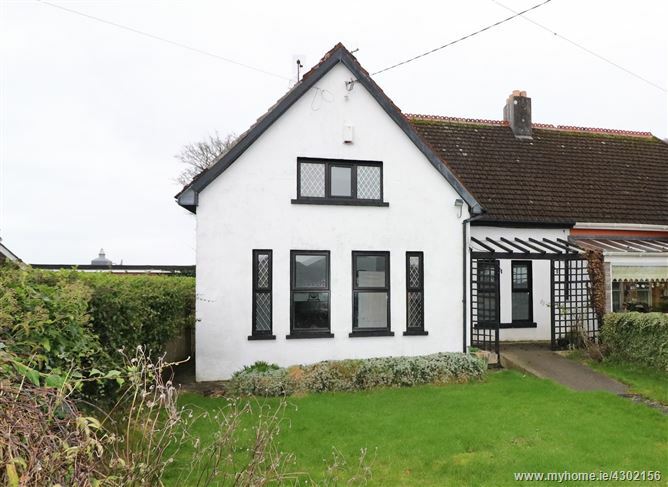 Rooney Auctioneers are delighted to present this fantastic 4/5 bedroom home located in the popular and much sought after Mill Road area of Corbally. It is excellently located, being close to all local amenities. It is situated on a private large rear garden and front garden. This character full home comprises of an entrance hallway, 2 reception rooms, kitchen-breakfast, 2 downstairs bedrooms, wet room style bathroom and 2/3 bedrooms upstairs one with large storage area off. The property has been recently redecorated. An ideal family home, starter home or investment property. Viewing is highly recommended. Entrance Hall: 1.30m x 6.40m with solid wood floor. Reception Room 1: 3.85m x 4.25m Bright front living room with solid wood floor and fireplace with gas fire fitted. Kitchen/Breakfast : 3.59m x 3.19m extended to the rear with some fitted units. Tiled floor and door off to rear patio and garden. Reception Room 2: 3.73m x 4.07m with solid wood floor and open fireplace. Wet Room /Bathroom: 2.16m x 1.25m with wc, whb, and shower, fully tiled. Downstairs Bedroom 1: 3.51m x 3.29m bright front room with solid wood floor and original feature cast iron fireplace. Downstairs Bedroom 2: 3.62m x 3.34m bright rear room with solid wood floor and original feature cast iron fireplace. Bedroom 3: 4.24m x 4.73m bright rear room with solid wood floor and original feature cast iron fireplace. Bedroom 4: 4.40m x 3.24m bright front room with solid wood floor and original feature cast iron fireplace. Large storage area off . Bedroom 5/office: 2.09m x 3.52m with solid wood floor and built in storage. Hot-press housed here. Mains water and septic tank sewage. Travel from Limerick out to Corbally. Travel down the Mill Road and the property is located on the right hand side. For sale sign thereon.